Revo global software sale starts today!!! Re: Revo global software sale starts today!!! It's even better now, did the K04 we need to catch up soon! Pull into REVO tomorrow bud! We are all going to be there? Im sure Shaun can flash the Polo ? Shaun.... can you pretty please , what time will you be there? Ill pull in and come check it out, hope he can but I don't think his keen cause of the prep. Just a reminder that we are in the final days of our revo global sale. Does the revo software effect motorplan or warranty on vechile? 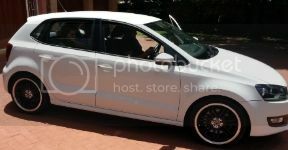 Navi wrote: 1.6 Tdi Polo ??? What will Stage1 cost for the 2012 A3 1.8T? I have a friend that might be interested. Is the Ed 35 stage 1 upgrade?